To help support the increased offerings of online summer courses, DigLibArts and Wardman Library have compiled the following resources for instructors. 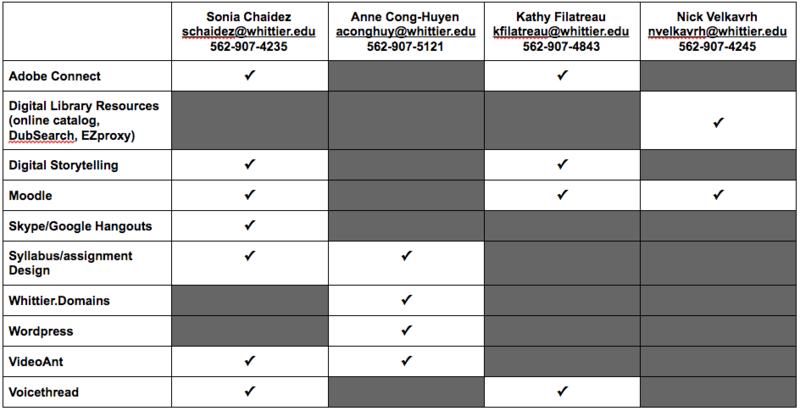 Whittier College’s course management system. A tool for transforming media into collaborative spaces with video, voice, and text commenting. Web conferencing software for synchronous/asynchronous online teaching and meetings. Create banners, slides, and visual elements for your online course. VideoAnt is a web-based video annotation tool. Watch thisTUTORIAL to get started.